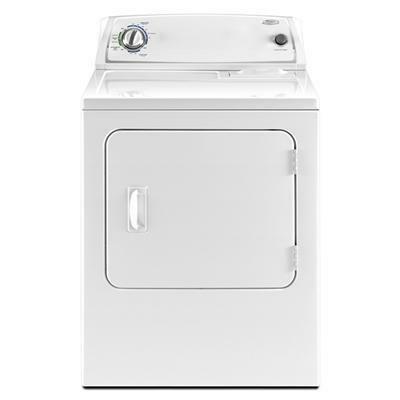 Whirlpool traditional electric dryer with AutoDry™ System. 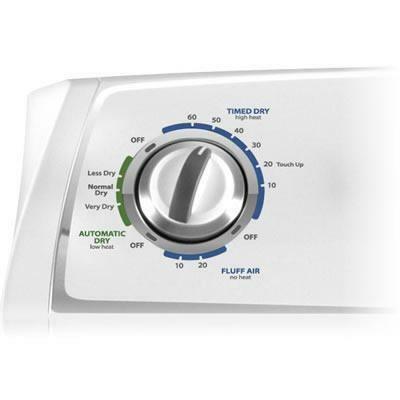 Featuring 12 automatic cycles, 3 temperature settings and time drying. Capacity 6.0 cu. ft. / 0.17 cu. m.
Dry Cycles -Normal. -Timed Dry. -Fluff Air. -Automatic Dry. Dryness Levels Very Dry, Less Dry, No Heat. 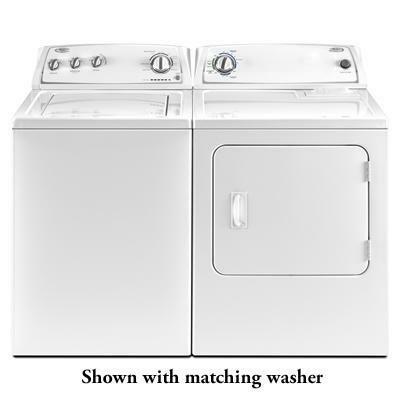 Additional Information -AutoDry™ Drying System. -Large Side-Swing Door. -Drum Material: Powder Coat. -Top Finish: E-Coat. -Electro Mechanical Controls. -Lint Screen Location: On Top.